360° rotation. 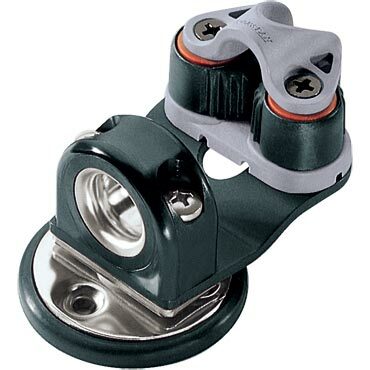 Swivel cleat bases permit easy cleating and releasing from any angle. Dead eyes contain stainless steel liners for low friction and long life. Cleating plates are heavy guage alloy for stiffness and minimum distortion under load. SKU: RF67. Categories: Cleats, Cleat Bases.